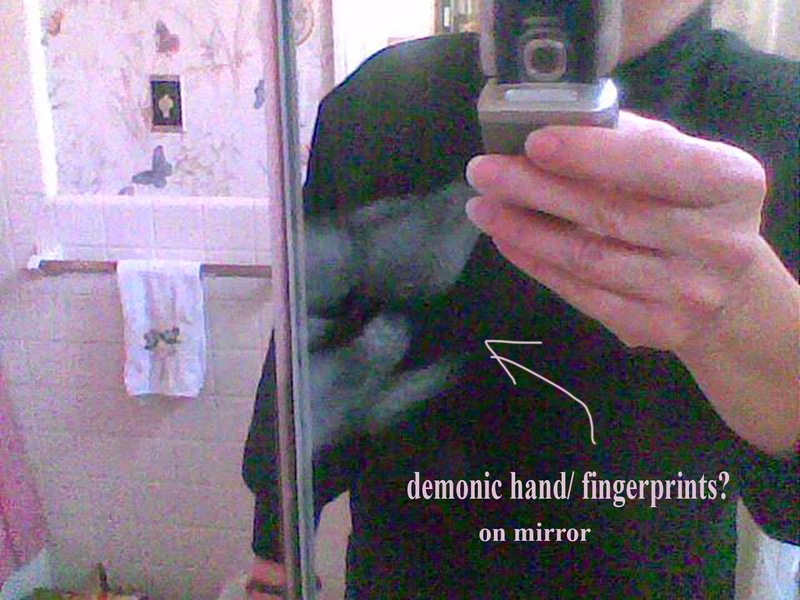 Anita Jo Intenzo-Haunted Author: GHOSTLY OR DEMONIC HAND PRINTS ? GHOSTLY OR DEMONIC HAND PRINTS ? I have mentioned in an earlier blog that spirits can make sounds: footsteps, screams, bangs, tapping sounds, etc. and in most rare cases, spirits known as poltergeists can move or break objects. I have witnessed this first hand. 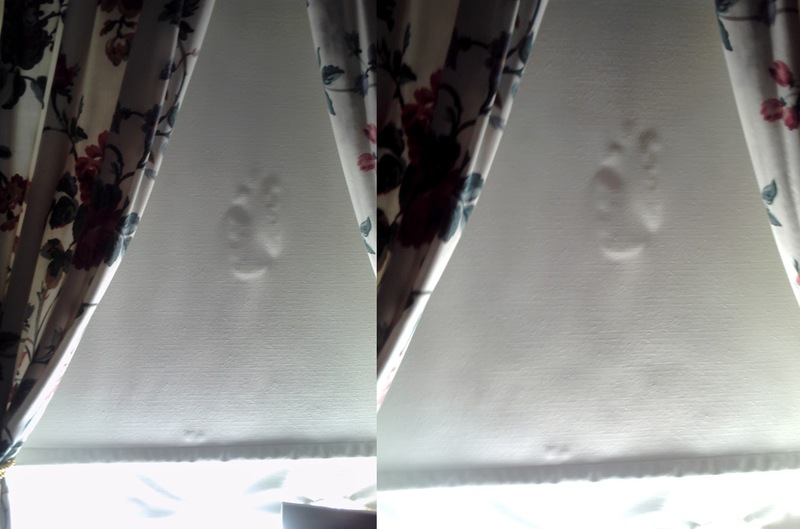 However there is other unique physical evidence, that I'd like to update here on this new post, that is part of a haunting situation- unexplained hand prints and fingerprints on different surfaces. Can a ghost or entity leave a visible hand print/fingerprint? In researching this topic, roughly half of the paranormal experts say yes, and the other half say no. Nobody knows for sure. Personally, I believe they can and by judging from the hundreds of images put up on Google by people documenting ghostly hand and finger prints, there is something definitely to this phenomenon. I have had these experiences in my home and have the photos to prove it. But, how is this possible? I know there are a few "logical" explanations, but just in general, do you think that ghosts/spirits are able to leave a physical hand/finger print when they desire? Is it purely to let us know they are around or evidence of something more sinister? If ghosts can manifest some kind of semi-solid matter and manipulate temperature changes- can they do this to leave imprints? 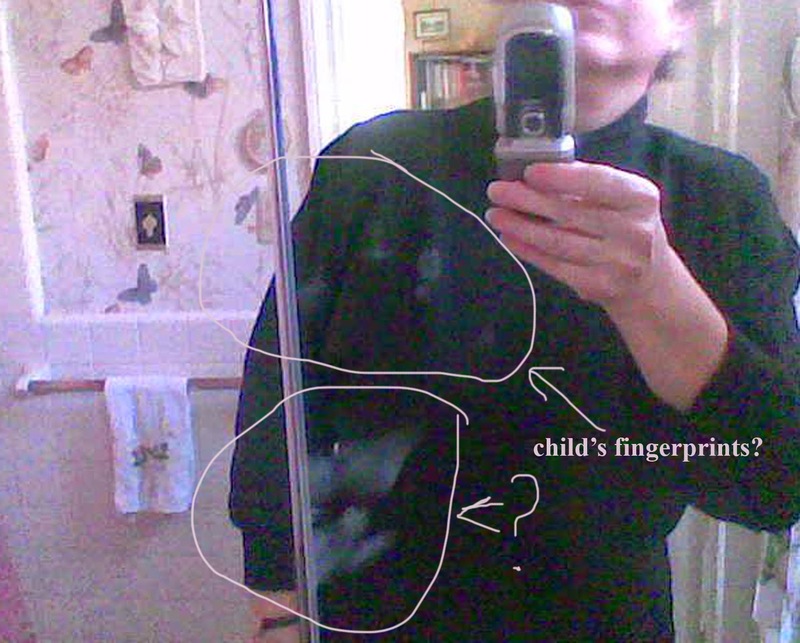 I first noticed a weird looking finger print on our downstairs bathroom mirror several years ago. This was a very active time for paranormal occurrences in our house. At the same time, my son was experiencing very vivid and horrific dreams of recently deceased people visiting him at night during the summer of 2010 (a post on just that subject will be a future blog). The placement of the print was odd and in the crease of one the 3 paneled mirrored doors above the vanity and not where you place your hand to open the door-that’s at the bottom of each panel. I didn't pay attention to it but the next day, while in the bathroom, something foggy caught in my peripheral vision-smaller fingerprints-like a child’s- above the first set of fingerprints. For the next week a series of fingerprints appeared below these first prints until they extended down to the end of the panel. Very Strange! To make sure it wasn't from me, I went and placed my hand upon the glass on another panel. I wanted to see if it would match the print of what was already there. It didn't match. Mine were of thinner quality and distantly showed the ridges of my fingerprints. A friend took a look at the prints and remarked that they didn't look really human-too elongated and skeletal. She said she got the chills entering the bathroom and an uneasy feeling. We've had some paranormal activity previously in the bathroom-mysterious sounds of water running late at night, tapping and objects flying out the room. After posting these photos on my Facebook page in February, 2013, I was contacted by a very reputable ghost researcher and hunter that they were of a demonic origin! We could be in serious trouble! She contacted the well-known spiritual deliverance minister, Mr. Bill Bean (who had dealt with this type of thing many times) who come to our home and did a 4 hour blessing/cleansing-which we could never thank him enough for his help. We were told that these glass surfaces/mirrors, etc. support or become open portals and let the entities whether good or bad in. We photographed and documented them and then erased them from the surfaces. Bill Bean's deliverance seemed to erase much of the negative energy we were experiencing. We heard distinct physical movement: squeaks, pings and bangs as Bill did his demonic confrontation with sacred prayers. He told us he was clearing house and it we heard "them" leave! We were so happy to feel we had finally got rid of these unwanted entities. Later, my psychic medium friend, Laurie Hull came over to my house and she said the atmosphere in my home felt lighter. Things seem to be more peaceful for a few months-no more prints. That was months ago and nothing else showed up on any surfaces. 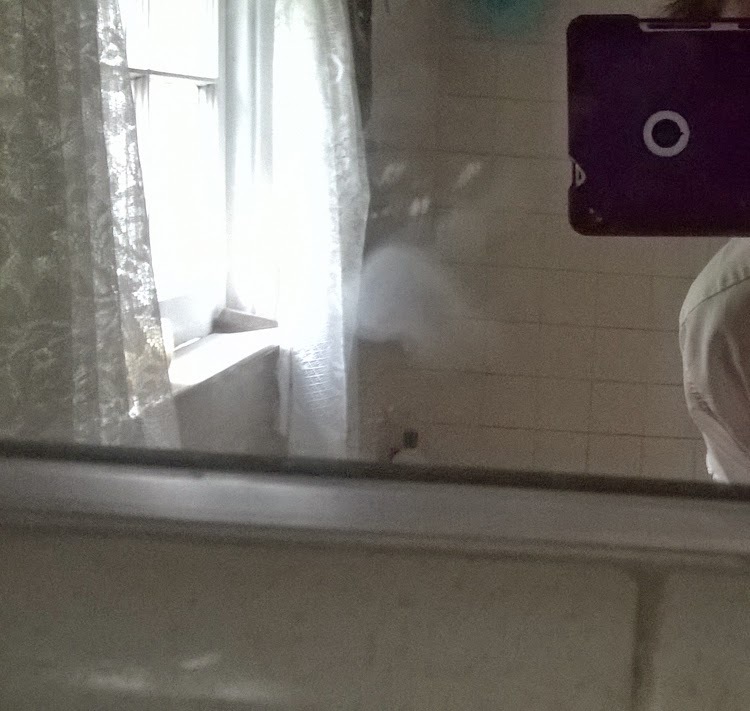 Two weeks ago I went into the upstairs bathroom and something on the mirror caught my attention. It wasn't a reflection or my imagination. There they were at the bottom of the mirror. More inhuman looking fingerprints! They looked very similar to the prints in the downstairs bathroom mirror from almost 2 years ago. It correlates with strange things happening again while I've started to write the sequel to my first book, Estate of Horror. We called Bill Bean and he is coming back in August. He is very concerned with the ghostly threats since directed at me for revealing the horrific family secret in my book and the resulting research and conformation of evidence I've received that is shocking. I will write more about these other frightening paranormal manifestations (aimed to deter me from writing) in a future blog, and I intend to reveal these new horrific discoveries in my sequel. Yea, like I said. I am truly a "haunted author". I do believe some things do have the ability to touch, throw items and leave marks on the flesh. I myself have been scratched while in my upstairs bathroom and it felt like a knife cutting into me. Entities that are making themselves known like this are not of a benevolent type but a negative energy.I have had our dear friend Bill Bean, a deliverance minister, come to my home several times and bless the house of negative entities with holy water, sacred prayers and incense that he sanctions: Frankincense, myrrh, hisshop and black salt that can be bought on the internet and not expensive. We put them in a metal incense burner and the smoke was carried throughout the house. If you are under different severe stress Like losing someone close to you that also trigger negative forces to be attach to you. This is not a loved one trying to get in touch with you. I caution everyone, do not provoke or feed into the fear. Find a minister or professional person who can work with you in divine intervention. God bless you all as i understand what you all are going through. I live a paranormal life everyday but will never give in and cower to forces that do not belong in my home. Be warriors of light and never let the darkness in. My daughter found 2 white handprints on her rug, just a few hours ago. They are placed one on top of the other. Last week, it was tiny white feathers, which I think is an angel or spirit of a loved one. Is it the same for the handprints? I recently just notice my car and the dresser in my room and all mirrors in house have strange finger and hand prints. I have woken up twice with a red fingerprint on either arm. The first one had a cross scratched into the middle of it. The second one had two scratches running parrallel inside of it. They both looked like burns but in the shape of a round finger print I took pictures of both. Hi i am 21 yrs young and last December i moved into a studio basement on my own it was big and spacious i got a bad experience the first night i moved in but nothing major 4 1/2 months in my sister came to visit and moved in . I have strong spiritual intuition i suggested to her her bf was doing witchcraft it turns out i was right what I had not known is that while i was out of town with my boyfriend my sister had this man in my home doing spells . I seeked help but from the wrong place and it brought demons to my home skeleton finger prints in red orange and black my house had a sulfur / sewer like smell . My walls were cracking and i heard scribbling and scratching noises amd when i looked at my walls it looked like somebody with stiletto nails carved their nails into my walls . i had horrible demonic dreams and i was attacked in my sleeps i would wake up with bruises and big red hand prints on my knees arms and ankles i went to church i got saved for the 2nd time in my life but no matter how many times the pastor came to my house it came back i almost lost my life due to this i wont go that deep into it just be careful and seek god. Please see my reply to the other people here as it has many of the things you mention and applies to your situation. God Bless! This EXACT THING is happening to me and its the reason i came onto this thread, at first i thought it might be an angelic sign as i have been recieving feathers however now im not so sure, I also would love some awnsers. I had en encounter last April. It lasted three days and without going into too much detail after the first two nights I was convinced what I was experiencing was real but I wanted proof so I asked the visiting spirit to leave a mark I could see and I woke up the next morning with fingerprints on my chin. I knew at that point the encounters I was having were real. I took very clear pictures of it and it was there for over 3 weeks. The reason why i looked this up is, i have five finger tips, birned on my face. I just woke up in my father's trailer, after he doed, and its as if something put their burning hand on my face will sleeping. Its been 10 years now, and the burns are still their. I appreciate all the comments and attention this blog has received. I do believe some things do have the ability to touch, throw items and leave marks on the flesh. I myself have been scratched while in my upstairs bathroom and it felt like a knife cutting into me. Entities that are making themselves known like this are not of a benevolent type but a negative energy.I have had our dear friend Bill Bean, a deliverance minister, come to my home several times and bless the house of negative entities with holy water, sacred prayers and incense that he sanctions: Frankincense, myrrh, hisshop and black salt that can be bought on the internet and not expensive. We put them in a metal incense burner and the smoke was carried throughout the house. If you are under different severe stress that also trigger negative forces to be attach to you. Or an object that is in your home that should not be there. i.e. a mirror that may be a conductor of supernatural portals for poltergeist activity.Get rid of it! I caution everyone, do not provoke or feed into the fear. Find a minister or professional person who can work with you in divine intervention. God bless you all as i understand what you all are going through. I live a paranormal life everyday but will never give in and cower to forces that do not belong in my home. Be warriors of light and never let the darkness in. Oops,my mispelling is due to my fingers frozen, wait, or is it? I feel that the things you are seeing and photographing are very real phenomena. I would caution the more you photograph the more the spirits or ghosts will seek you out more for the attention you are providing. You are documenting these on your own but you may need some guidance by a reputable paranormal investigators to sort these things out and perhaps let you know what you are dealing with. I too have had all the experiences you mentioned above and have a wonderful friend and minister, Bill Bean who has helped me sort out the good from the bad entities that have entered my home. Not all spirits are there to promote goodwill but you will find infiltrators that are negative opportunists also. Beware! Good luck, take care and God Bless. From your description of the incidents it sounds like a poltergeist by the activity. This could be from either a benevolent spirit as if that newly deceased person you mentioned is letting you know they are there, they are OK and watching over you. If you experience something more aggressive or threatens you or harms( scratches, breaking things) I feel then you may need some guidance by a reputable paranormal investigator to help or a minister that you trust to bless the house. I too have had all the experiences you mentioned above and have a wonderful friend and minister, Bill Bean who has helped me. Good Luck and God Bless! Hey! This morning I noticed a dirty, faded handprint on my door with some scratches near it, too. I am certain that they have not been there before. Can demons, ghosts or poltergeists do this on other surfaces than glass? Thank you if you will help me! Hi, Yes, I believe they can. We have a child's hand print and a word spelled in black paint on our garage door. This happened back in 2010 when we were doing some painting of the black trim on the door. Still there. This will be mentioned in my new book, Dark Transference, the sequel to my debut book Estate of Horror. It should be out soon as we are working out details with the publisher. Hi Addy, I also have a white powdered/dust looking finger print that looks transparent-especially the thumb, on my vanity bathroom mirror. It is also high up on the mirror where a person would not leave a print. 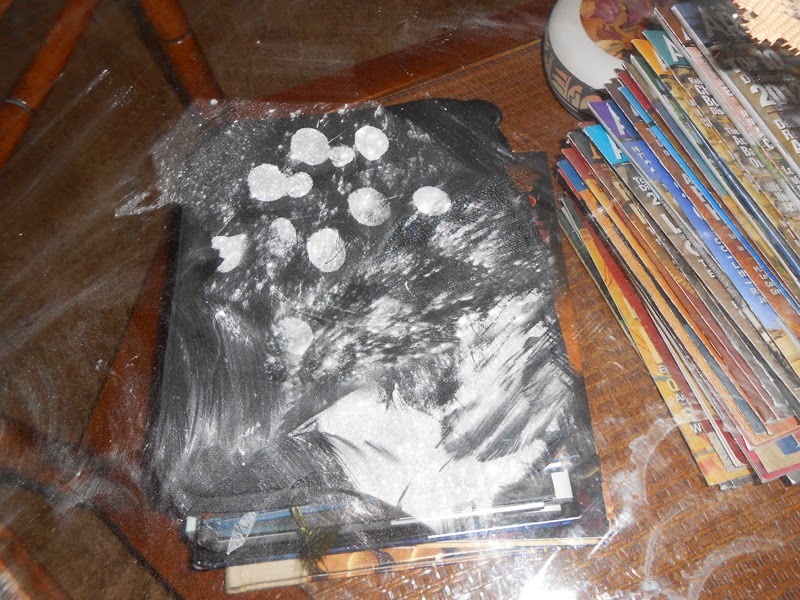 I also have had 3 times now, in the last few months, tiny fingerprints on my glass coffee table in the living room.I photograph them for my records, wipe them off and new ones appear again. We do have children ghosts here and they are just being mischievous. I do believe it is a form of ectoplasm that is being left. I went to a place last night that has a reputation/history of being haunted. I ended up leaving just before dark. This morning I found what seem to be fingertip and a thumb prints on the outside of one of my car's back windows. There is no palm. There also seems to be no ridges. These prints don't appear have smudges? The prints look like they are made of pollen or yellow dust. It looks like it came from a big hand. What could the yellow dust be? Thanks for sharing your truly amazing experience Vicky. It so happens my son (who is psychic)has had that happen to him and the fingerprints were left in the green pollen on the sides of his car. They don't look human made and one had 6 fingers! Strangely our prints seem to have ridges in them-like fingerprints but I wonder what supernatural database these would show up in! I am not sure what the yellow dust was but it could be a form of ectoplasm. You seemed to have had an entity attach itself to you and that it might have followed you home but hopefully it will dissipate in time. Please be careful.Let me know how you are doing? God Bless. Thank you for your message Tricia. We have also had fingermarks and scratches on us and appear on our clothes, my son and I. It is an entity that certainly has pressure and presence to be able to make marks that you can see. I don't know if it trying to get your attention but it seems like it is. It sometimes happens from a long ago occurrence that the ghost does not realize time has past and is still responding to someone who had lived in the place you are in (apt.?) This is my take on it. The ghosts who have left marks on us and our mirrors and other places are in fact children who died suddenly on our old property hundreds of years ago. They do not know time has passed and are "playing" with us to get attention. We try to ignore it and not give them power to scare us but it easier said than done. Take care and all the best. Thanks Liza for your question. I don't think the hand print or finger print means harm to you. It may be a ghostly spirit looking for help or attention. But, worry if you experience interaction of you receiving scratches or being touched in a harmful way. In that case I would ask for someone with spiritual credentials like a priest or minister to bless your house to ease your mind. Remember you have the power over them not to be afraid. Entities feed off negative energy and fear is one of them. Good luck and God bless. When I was a teenager in scarboro maine I was sitting on a stairwell with a friend n we had a pretty intense talk about her home life . As I was sitting on stairs n we talked there wasn't any thing on walls. It was a slumber party I was attending n we of course played on the ouija . It was apperntly a home that was previously owned by a dark witch . In one bedroom closet there were some markings that were painted over that wouldn't stay painted. I can't recall what these symbols were. Outside the bedroom window there was a fire that night. At top of stairs on wall there was a spot that said believe in God . At the bottom of stairs was a handprint of unknown origin. When I sat at bottom of stairwell that evening it was not there! With all this said I was watching an episode of my favorite ghost adventure crew they were in erie Colorado n a handprint appeared of unknown origin . It brought me right back to that night n I'm floored. I have always felt a dark cloud loom over me so to speak . I am know wondering am I in need of a blessing or exorcism? Have I been dealing with this since that night? I'm completely just wow ! I found a red handprint on White candle..??? Weird things have happened in my house ever since I moved in. The most intense things were a kitchen cupboard door slamming open and shut repeatedly which me and my friend both heard from upstairs, when the banging finally stopped I went to the kitchen and by the cupboard door that was left slightly ajar it was freezing cold. My two year old son speaks a lot about a monster in his room that sits on his bed sometimes he calls it a ghost, the latest biggest thing was yesterday. On my damp kitchen floor alongside my footprints, was other ones. I can only describe it as the ball of a human foot with pointed toes. Almost claw like. I stepped right next to the weird prints to check it definitely wasn't mine and took a photo of the difference. theres been a lot of things happening, closet doors shaking, feeling as if something landed on me while I was in bed, the sound of someone in the house,thing falling off shelves,tapping noise on the floor, tv volume going up by itself, re-occurring white hand prints in all 3 upstairs rooms aswell as smaller hand prints appearing on my 2 year olds stomach in the night and disappearing by the next day. myself and my 2 year old are the only people in the home.i don't know what to do, I don't sleep. I had an experience similar to a few years ago, I was sleeping with my husband in a hotel, and I spent the night feeling an uncomfortable presence and sounds of footsteps through the whole room in the morning, there were the impressions of two small hands in the mirror near the bed, that before we went to bed we were not there. I know I’m not the only one seeking answers or help in any case but I have two small kids and I really don’t know what to do. At this point I’m desperate. I’d appreciate all the help. I moved into a house in East Brunswick NJ which has been vacant for about 5 years. On Thursday (Friday early morning) around 3am I was sleeping on one of my kids twin size bed because my mom and my 6 year old where sleeping in my full size bed. 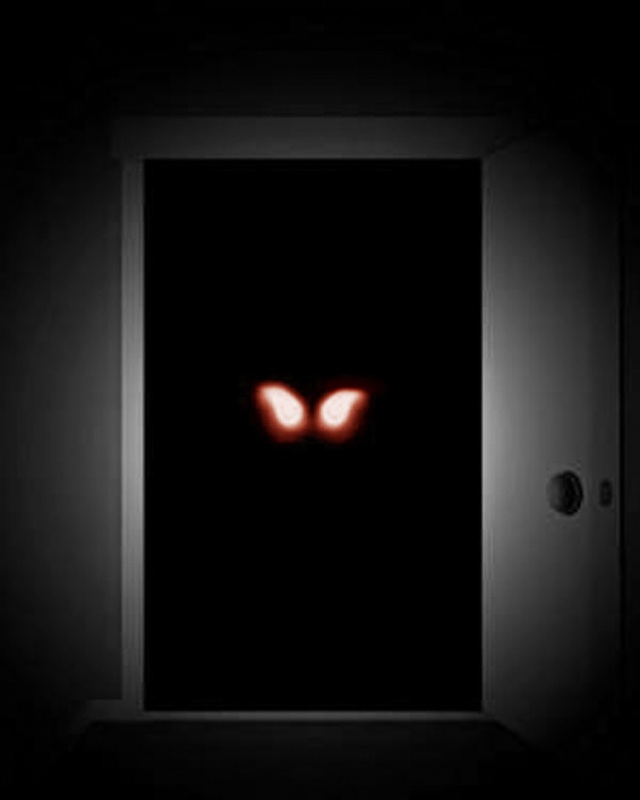 Around 3am I hear a man (I know it was a man because of the heavy footsteps) walking around the room in working boots. Then I hear a zipper (of a jacket or coat) going up the coat/jacket. At this point I opened my eyes and looked at my 14 yr old (who was sleeping across from me in his bed) and he was sound asleep. I got up and went into my room to see my mom and 6 year old sound asleep as well. I walked around the house to make sure no one was and I found nothing. I went to bed. The following day, Friday (early Saturday 2:30 or 3am morning) I’m awaking by my mom screaming. She said, she felt someone on the foot of the bed pushing her feet to the side to sit. When this thing sat she felt the mattress sink down. She opened her eyes and say this beautiful white woman with long blond curly hair sitting there looking at her. As my mom started screaming to leave, this thing got up and went to the corner of my room. My mom said, she was very tall. Model tall. Anyway, she continued to scream to leave and this thing walked out the door and disappeared. On Saturday I went to drop my mom off at her place and so I passed by a botanica and purchased, a cross, white candles two glass cups, cascaria (white chalk), sage and holy water. I went home and cleaned the entire house. I put holy water (as the sign of the cross) in every single door, closet, bed, opened the basement and did the same down the stairs and up the atic stairs. I was saying a prayer and telling whatever it was to cross over and leave that they no longer belong here. Etc etc. I also did the same with the burnt sage. Well that night, Saturday into Sunday I received a visit from this thing. I can’t even seem to explain it. It wasn’t a person. It was a black object with skeleton hands. This thing came from the basement. I saw it in my dream. As soon as it touched the first step to come up the basement my heart went from zero to one hundred. Came in to my kitchen and made itself into my room. I must say, as it got closer to me my heart raced even more. It felt like it was jumping out of my throat. Anyhow, as soon as it entered my room I felt like someone had thrown a bucket of cold water on me. I instantly got sick and felt this cold sweat. That thing sat on my back and that’s when I opened my eyes and fought it off with my left hand. My poor 6 year old was watching me asking me what was wrong but I didn’t want to scare him. It’s obvious he couldn’t see this thing. Well as I was fighting with this thing to get off I was trying to grab something to pray. Well, IT grabbed my hand and it was a skeleton hand. I freaked out but I started my prayers and didn’t stop. All of a sudden IT told me with a demon voice, it was leaving for now but that IT would return. I have very good sense to these good or bad things. When I went to see the house I checked the entire house and I felt at peace. Calm, not sick or negative. In the past I’ve gone to see places to rent and at times the place is so loaded with negativity or bad vibes I would get sick and just leave so I’m not sure why after I felt all this good, positive, calm peaceful vibe this occurred. I’m in need of guidance as to what to do? I don’t what this THING to touch or hurt my children. Especially my mid son who is a very ill child. Can someone kindly help me as to what can be done? I can’t move because I just moved to a new district and the kids were transferred from far. Please, Please, Please, Please help me. I don’t know where else or what else to do. For the sake of my children. Please! I appreciate it. Hi I'm new to this posting stuff but I have 2 experiences to share and I'm at a loss to explain it kinda. A few years before my husband passed away we woke one morning and he had an already infected blister in the shape of a thumb print on his chest that was defiantly not there the night before. Now I'm no stranger to having strange encounters it's been following me wherever I go my entire life. 2 weeks ago I wasn't feeling well high fever and whatnot, the day I was to go to the dr I woke with my forearm swollen about an inch to an inch and a half their was no redness but there were bruises in the shape of finger marks. By the end of the day they turned into what looked like 3rd degree burns similar to what my husband had on his chest. I took pics all that day to document the progression as it was getting worse. Thing is there was no pain involved till 3days later and that was just mild stinging type pain even though the top layer of skin was gone and should have really hurt. Has anyone else expierenced anything like this before? I spoke with one expert and he said he had never seen anything like this before. I don't know if it is true that cold room is more often ghost love to stay . like our room its cold because of the aircon and just this year I noticed of some fog print that I tried to erase but its not working . is this ghost or demons work? I woke up to an outline of red finger prints around my left wrist. The angle isn't possible to be my own and it burns like a rash.Do you think it's possible for spirits to connect with people ? Or does this sound more demonic? Oh my god I was just about to post about a recent haunting and I saw a shadow run by it looked so real and human I was trying to post about a spirit drawing faces in my mirror and as I’m pushing the publish button I see the figure run across my bedroom I acutualy am not gonna be able to sleep tonight. I used to like on this very old and big house where a lot of scary things started happening. Me and my whole family were experiencing paranormal stuff so we decided to record some of this stuff. We once left the recorder on the kitchen when no was was there and later we head a conversation of people we also heard heels coming closer and a coffee mug on the table super hard. We also hear a scary breathing. This recording was super scary because it was real and we knew it happened right under our nose. Later when we came home from a windy day we found claw marks on our mirror. And then we found baby footprints on the floor they were so small and so perfect. Btw we didn’t have any children. We all started experiencing nightmares and I would experience sleep paralizis a lot. My stepdad would see a dark shadow leaving the closet where this closets floor was dirt. My mom would hear people running on the stairs when she was home alone. And I would hear people running upstairs when no one was there. Anyways this house used to be one of those bars years ago and when I mean years ago I mean about 90 years since it was considered prehistoric. We ended up moving because we couldn’t take it anymore and my new house is calm and nothing ever happens. can ghostly fingerprints feel powdery? at work we found some on 3 windows of an office that stays locked at all times. Fingerprints are that of a little hand then mean type streaks right above it. We took pictures. I felt the little hand fingerprint. Not oily, more like a hardened powder???? I don't know what hand I found on top wall . It is a black hand print but its 3D and it is definitely a adult's hand print . I wasted it off of my wall but still in the evening the suns shade reveals the black hand prints shape . What is this ?